We are proud of the fact that so many of our students take part in the Duke of Edinburgh’s Award Scheme through the school and that we are one of the largest centres for the Award in the North West. In 2017-18, 195 students started the Award at school and benefited from the opportunities that it brings. This nationally recognised Award provides students with the chance to do things that they would not have thought possible in the past. It develops a ‘can do’ culture among our students which is so valuable in the modern world. Upon completion of the Gold Award, students are invited to London to receive their Award, from HRH The Earl of Wessex. Please see our gallery pages for photos taken on various expeditions. 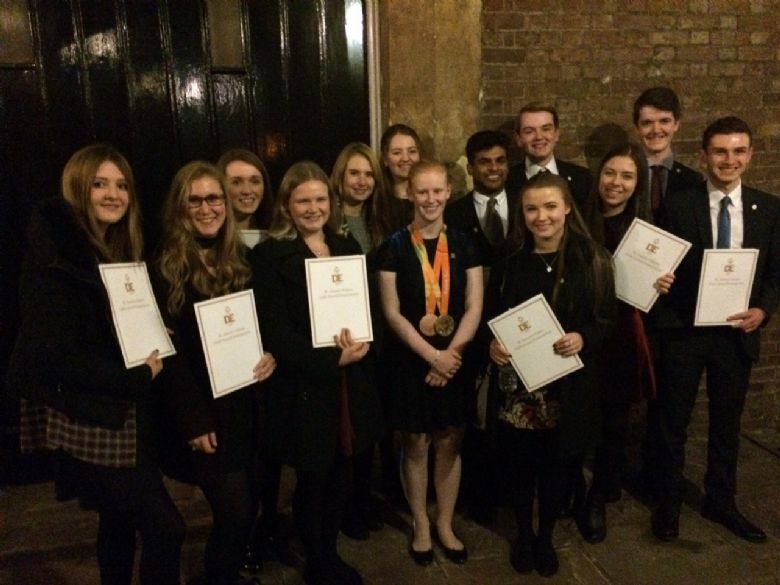 On 14th December 2016, 14 students who had completed the Duke of Edinburgh Gold Award with us had the honour of collecting their awards at St James's Palace, London, in the presence of HRH The Earl of Wessex. All the students had demonstrated a range of skills and a determination to succeed as they completed their Skills, Volunteering, Expedition, Physical, and Residential sections. It was a pleasure to see them collect these awards and we are very proud of their achievements. The day was made particularly special for us as the presenters in the room were one of our former, Sophie Thornhill, and her pilot Helen. They gave an inspiring address comparing their journey to Paralympic success in Rio with the Duke of Edinburgh's Award Scheme. It was lovely to celebrate the success of all of our 'golden students' and we look forward to hearing of continued success in the future. Congratulations to all of the students below and of course to Sophie.